Life insurance solutions from LexisNexis can help you make insightful decisions throughout the policy lifecycle. 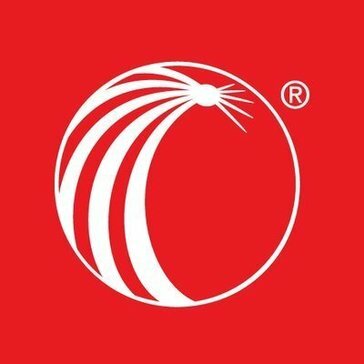 Work for LexisNexis Life Insurance Solutions? Learning about LexisNexis Life Insurance Solutions? "Easy to use system that gives you a ton of information. " Overall it is a very easy system to use. The wealth of information you can obtain from it is the best in the business. Although it is easy to use for the most part, it can be a little tricky to use in the beginning. Once you realize how it is set up it makes sense and is much easier to navigate. The best thing to use it for is looking into past insurance or current information from a variety of services in one place. What Life Insurance Policy Administration Systems solution do you use? Oracle Insurance provides adaptive, rules-driven systems that let insurance companies easily change business processes as their business needs change. CyberLife is a Web-enabled, n-tiered system that provides cost-effective administration of life and annuity products. ServiceNow Agent Intelligence uses machine learning to automatically categorize, route, and prioritize issues. It learns from patterns in your historical data, becoming increasingly accurate in its predictive recommendations. VPAS Life enables online access to information about your life insurance products. LIFELINK is the standard solution for policy administration in the life and pensions industry. Andesa Policy Administration System began as a pioneer in the field of corporate- and bank-owned policy administration. RADIENCE Administration is a state-of-the-art core policy administration system used by life and annuity insurers. INGENIUM is a core life, annuity and disability policy administration system. INSIS fully supports individual and group life products, unit-linked products, commercial and personal non-life lines of business, health products. * We monitor all LexisNexis Life Insurance Solutions reviews to prevent fraudulent reviews and keep review quality high. We do not post reviews by company employees or direct competitors. Validated reviews require the user to submit a screenshot of the product containing their user ID, in order to verify a user is an actual user of the product. Hi there! Are you looking to implement a solution like LexisNexis Life Insurance Solutions?